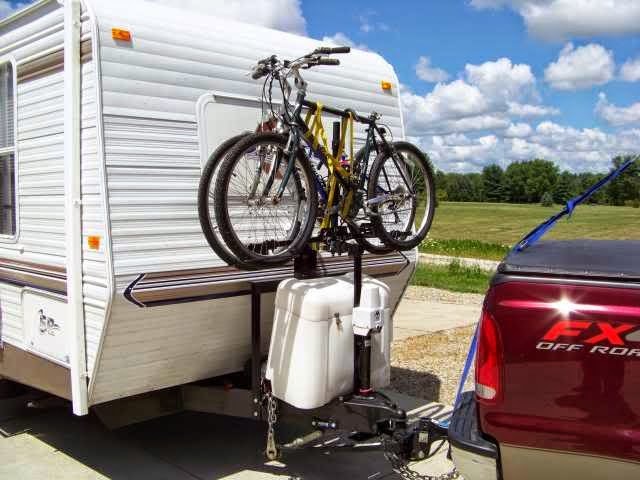 Sometimes using a hitch mounted bike rack can get in the way, especially if propane tanks or other objects are kept with your motorhome. This can also become a problem if it gets in the way of towing an RV. The Stromberg Carlson A-Frame Bike Carrier helps to alleviate that issue. 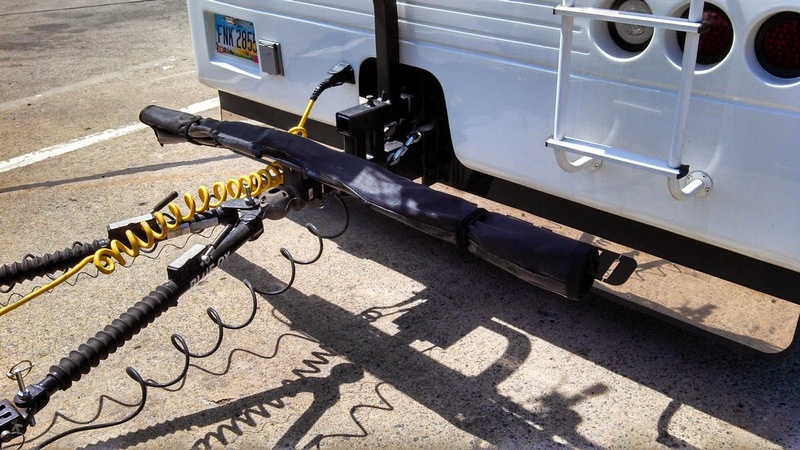 Besides allowing for propane tanks, this bike carrier can keep your bike rack lifted up and out of the way when towing. This carrier does not come with a bike rack, however is does not have to be fitted with any certain model. The Stromberg Carlson A-Frame Bike Carrier is made to work with any standard 2″ hitch mounted bike rack, and can handle varying sizes. It sits 33.5″ off the A-Frame, so your bikes can stowed at a higher position. 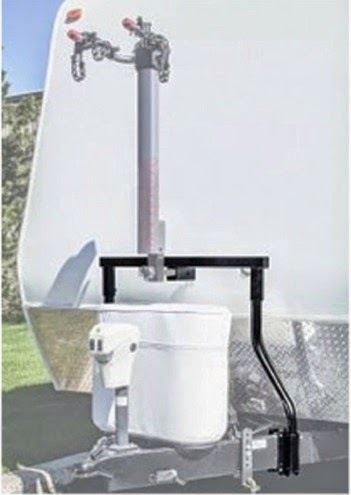 The fact that is can fit around any propane tanks makes it easier to install or take off. It features a black finish that stays resilient against outside weather conditions. It is strong and durable, so it can support the weight of the bikes plus the bike rack. Using the Stromberg Carlson A-Frame Bike Carrier will vary depending on your specific application. It will save you the effort of having to make room for a bike rack. There is also no need to stow the bicycles somewhere else in order to accommodate propane tanks. It presents a more hassle free way to transport bicycles while on the road. This bike carrier is constructed here in the USA. For many first time RV owners, the maintenance tasks that are involved in owning an RV can be daunting, as they are oftentimes not familiar with what they need to do to maintain their new home on wheels. While there are many things one must know about maintaining their RV, it is arguable that one of the most important areas of an RV that must be properly maintained regularly are the wheels and brakes. Properly maintaining the wheels and brakes on any RV is vital in ensuring one’s safety when traveling. The focus of this post will be to help RV owners to be able to recognize when they need to replace their trailers brakes. For the most part, maintaining the breaks on a camper is similar to that on any automobile. The easiest way for you to tell if something may be wrong you’re your brakes is through paying close attention to the way they feel during braking. Since most trailers use electric brakes, which will make noise as they are activated, it a good idea to have someone apply the brakes and verify that they all are working. When your brakes begin to feel that they are not working as well as they once did, it is generally a good idea to have them looked at by a professional if you are unfamiliar with their repair process. To help ensure the safety of you and your family, however, it can be a good idea to inspect your brakes on a regular basis, as factors unique to driving/towing an RV such as loads carried and distance traveled can cause RV brakes to need to be replaced more frequently than you may be used to with an Automobile. It is generally advised to look at your brakes, or to have them inspected, every 3,000 miles. Brake shoes as well as all of the other components in a trailer brake system are available for replacement and generally are quite easy to replace. 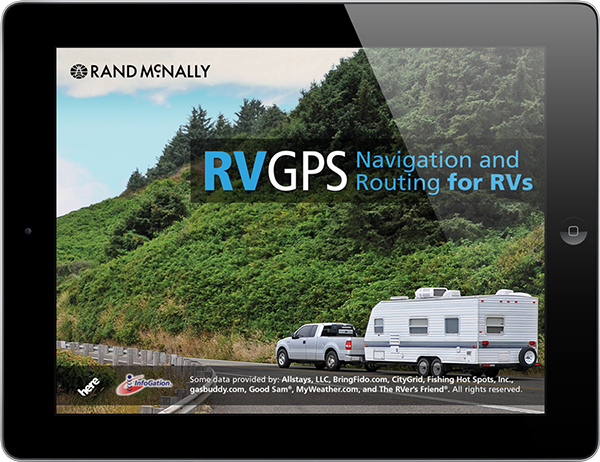 Knowing when to have maintenance performed on your RVs brakes is one of the most vital aspects of RV maintenance for new RV owners to learn. Having your brakes serviced properly will ensure the safety of you and your family when you take your RV out. Check out our trailer brake parts category for information on replacement trailer brake parts. If you require assistance, please give us a call at 866-332-7881 or contact us through our customer service system. If you need to bring a TV along on your next road trip, it is possible to travel with a wall mounted TV. You may even want to take a TV you use at home, or move the TV from the inside of the RV to the outside. 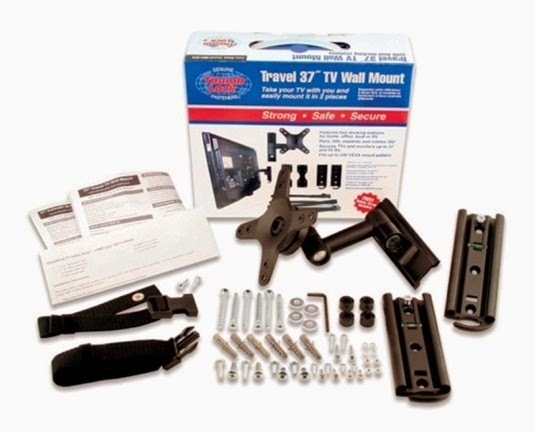 The Ready America Travel TV Wall Mount allows you to install an LCD TV in your motorhome, while still making it possible to easily change locations. This particular wall mount can also handle larger size TVs, so you wont have to settle for a lower quality TV than you would have at home. The Ready America Travel TV Wall Mount comes with 2 docking stations, so your television can be moved to 2 different locations if you need it. Its versatility allows you to position the TV to almost any angle or direction that you want. This wall mount can support flat screen TVs up to 37″ and 55 lbs. Straps are included to keep the TV secure while the RV is in motion. The set comes with the hardware needed for proper installation. Moving the TV is made easier by simply removing the TV from its current docking station. It can work with TVs from almost any manufacturer, which saves the time and cost of searching for a custom fitted mount. Using this wall mount system will ensure that you wont have to miss out on current events while traveling, nor will you need to settle for a smaller travel size TV. Whether you are using your home LCD television or simply wish to move it to another location, the Ready America Travel TV Wall Mount adds portability and convenience. It also allows you to upgrade to a better TV for your RV. A ladder that is set at a certain height will work perfectly when the point you need to reach is at that height. Sometimes, however that point may still be higher than you can safely go on that ladder. Other times, a ladder that is too tall may not work when needing to cover a lesser distance. During an RV trip, it is not practical to bring along multiple types of ladders, especially in smaller motorhomes when storage space is at a bigger premium. The Telesteps telescopic extension ladder will alleviate those problems by adjusting to the height you need, saving you the hassle and frustration of having a ladder that may be too high or too short. It is easy to use, requiring only a few simple steps. This Telesteps Telescopic Extension Ladder reaches a full length of 10 1/2 feet, allowing you to reach points up to 14 feet off the ground. The height can also be extended by each step when the full length is not necessary. The ladder position locks in place once extended to ensure safer footing, and easily unlocks when finished. Because the ladder collapses down to 28 inches, it is better to store in an RV than many other types of ladders. It is designed to provide sturdy and safe support, up to 250 lbs. Besides RV use, this ladder also works for various commercial purposes, as well as around the home. It is perfect anywhere that needs access to high points, but may be short on space. Examples of possible applications include exterior paint jobs, maintenance and creating storage areas. Always make sure the Telesteps Telescopic Extension Ladder is placed on level ground against a steady surface for maximum safety while in use. It should be set an angle that allows you to keep your balance. An accepted rule is to try to always have 3 contact points on the ladder at the same time to ensure stability. 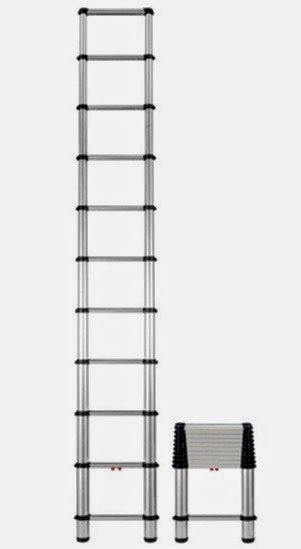 This ladder is intended for use by one person at a time. Not everyone finds the idea of using a hose reel appealing, due to the added weight and potentially cumbersome operation. 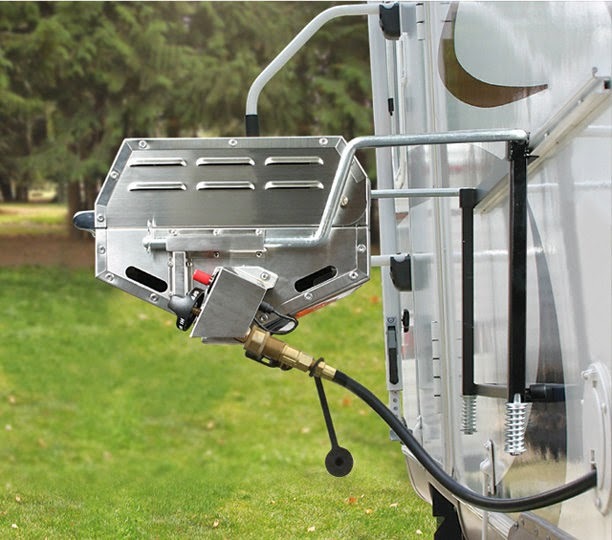 However, using a hose reel to store a water hose during an RV trip can have several advantages. 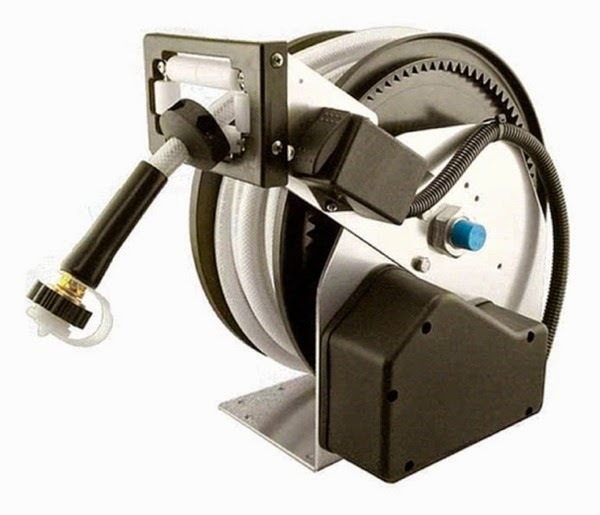 The Glendinning Model M Hosemaster in particular is a relatively lightweight, easy to use reel that can provide better convenience. Besides keeping the hose from getting tangled while not in use, this reel also supplies you with as much or as little hose length as you need. The Glendinning Model M Hosemaster can accommodate 35 foot, 1/2″ diameter hoses, so water can flow at a fast rate. Once the hose is no longer needed, several features on the Hosemaster make it easy to wind up and store. The retraction motor is activated simply with the push of a button. 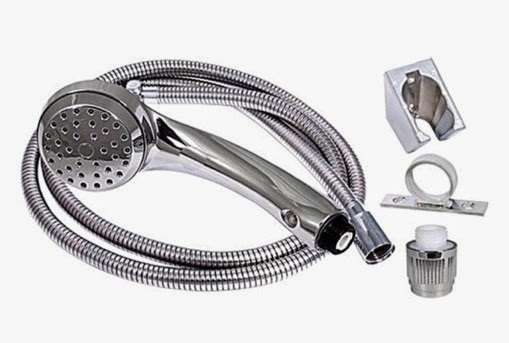 It pulls the hose back at a steady pace, saving you from having to wind up the hose yourself. The guide and stop prevent the hose from tangling and overwinding. There is also no need to worry about how to mount the reel, as the guide can be adjusted to one of 6 locations for greater adaptability. Don’t become discouraged at the thought of using a hose reel to store your water hose. 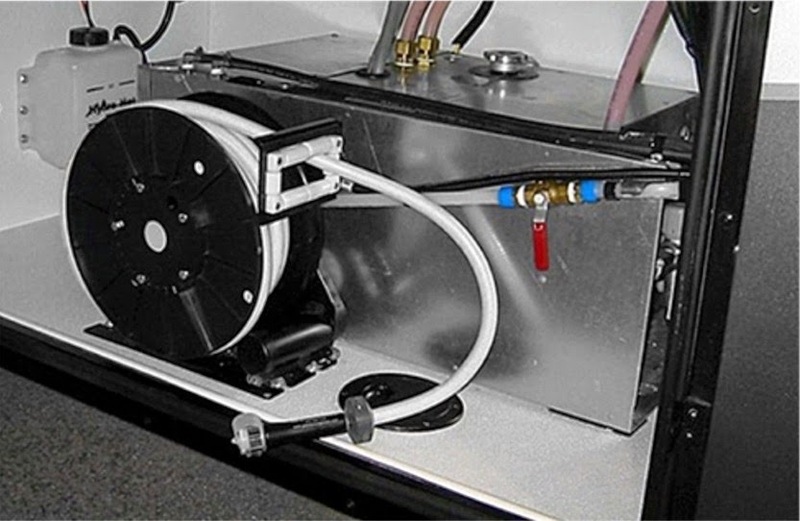 The Glendinning Model M Hosemaster makes supplying your RV with fresh water much easier. The compact design allows it to store the hose in smaller areas where storage space can be at a premium. This hose reel is made to last for a long time without needing maintenance and can provide dependable service. Being an avid bike rider and RV'er, I have had my share of bike carriers. With each new RV whether it was our Jayco pop-up or Winnebago diesel pusher, coming up with the right setup to carry bikes was always a primary task. And with the advancements bikes have seen in recent years, it's not just kids you see riding all over campground roads and paths. So campers have had to find ways to carry more than just a few bikes and in unusual locations outside of the RV. 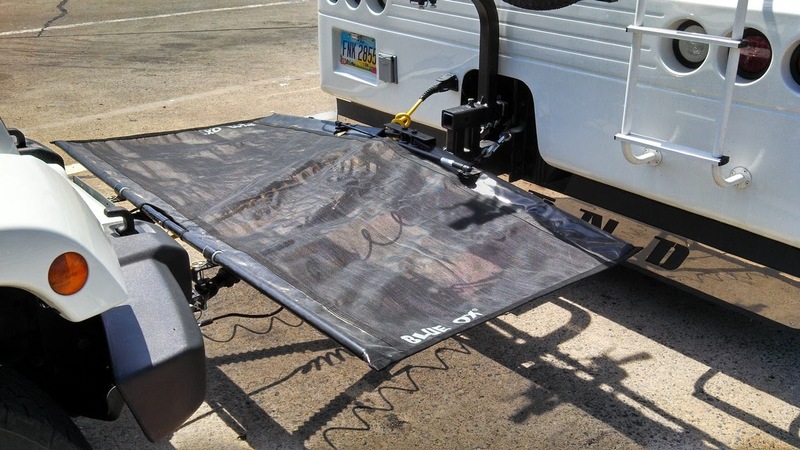 If you have recently taken up biking or changed RV's and are in need of a bike carrier to help bring bicycles along without the hassle of lugging them inside of your RV, we have some tips for choosing the right carrier for your setup. In order for the carrier that you purchase to deliver the results that you want, it's best to look into how many bikes you will be bringing along. If you only have 2 bikes to carry you will find more mounting options than say a 4 or 5 bike carrier. Smaller children's bikes will also muddle up the equations since they tend to be difficult to carry on many hanging style bike carriers and may need to tag along using an alternate method. There are various mounting options for bike carriers and some of those options may be taken off the table depending on how many bikes you have to bring along. Hitch mounted carriers will mount into a 2" or 1-1/4" receivers and tend to be the most popular. But don't despair, there are also rv ladder mount, rv bumper mount, tow bar mount, roof mount, spare tire mount and ball mounted bike carriers. Finding the right mounting option along with the style of carrier will be the next chore. Hanging style bike carriers use the center bar of the bike to attach it to a single or double arm. These bike carriers are more compact and generally allow access to the back of an SUV or pick up truck by tilting backwards. As you can imagine bikes without a center bar pose a problem, but there is fix for this called a bike adapter bar. A platform style bike carrier uses the tires to attach the bike to the carrier and they tend to work best with similar size bikes especially when you get into the 4 position carriers. With so many choices of carriers that can be mounted either to the front, back or the top of your RV or tow vehicle, it's a good idea to look into how easy the carrier will be to set up. While durability is definitely important and the fact that you want the carrier to be mounted properly, it's also a good idea to look into how easy it will be to remove the bikes and put them back in again so that you can get to biking as easily as possible. 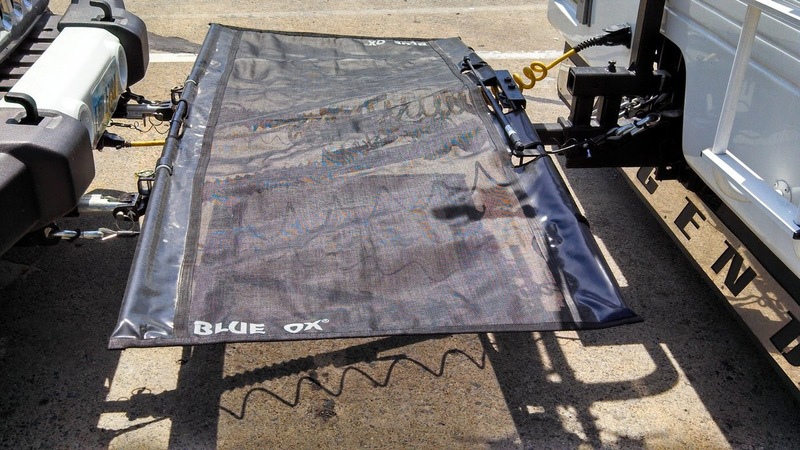 With so many factors required in choosing the best bike carrier for your RV, we urge you to check out our bike carrier category to find the carrier that best fits your biking needs. Washing your RV can become quite a chore, especially if you don’t have access to the proper tools. You may also wish to leave your RV with a streak free, detailed appearance. Carrand RV cleaning accessories are made to help make that task a little easier. Several items in particular will save you from unnecessary effort and feature ease of use, while still leaving a professional looking appearance. Examples of useful Carrand RV Cleaning Accessories include microfiber detailing towels, a chenille wash mop and a fire hose nozzle. The microfiber detailing towels will leave your RV with a professional looking shine. They can be used for any step in the cleaning process, including washing, drying or polishing. These towels come 6 in a pack so you won’t have to worry about running out. The colored edges make it easier to keep the towels separated. For example, a certain color can be used for a certain cleaning solution, or used for a specific step in the process. The chenille wash mop has an extending handle so it is easier to get to hard to reach spots without weighing you down. The microfibers work well in taking off dirt without taking your RV’s painted finish off with it. 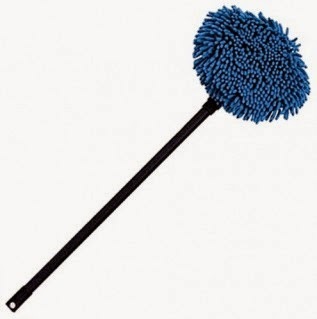 The mop head can also be removed and used by hand for more intense scrubbing. The fire hose nozzle can perform multiple duties, as the water pressure can be adjusted to fit the needs of the application. It can produce a powerful spray for washing a car or RV, or be toned down to water flowers and plants. 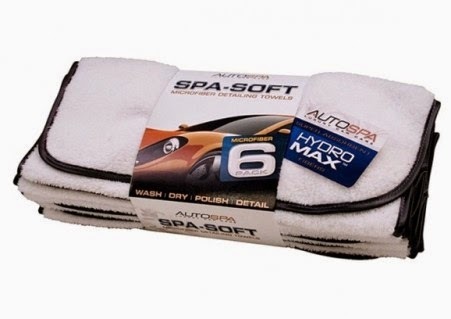 It is particularly useful for getting the wheels and undercarriage of your vehicle clean. A forceful spray will also be able to reach the higher points on your motorhome. Carrand RV Cleaning Accessories can not only be used for RV’s but for other types of vehicles as well, including cars and trucks. They will be able to get your vehicles thoroughly clean, saving you the expense of having it professionally done. Have you ever attempted to tow a trailer with mirrors that don't allow you to see past the front of the trailer? It's impossible to safely change lanes or see what is going on behind you and worse yet it is very nerve racking. 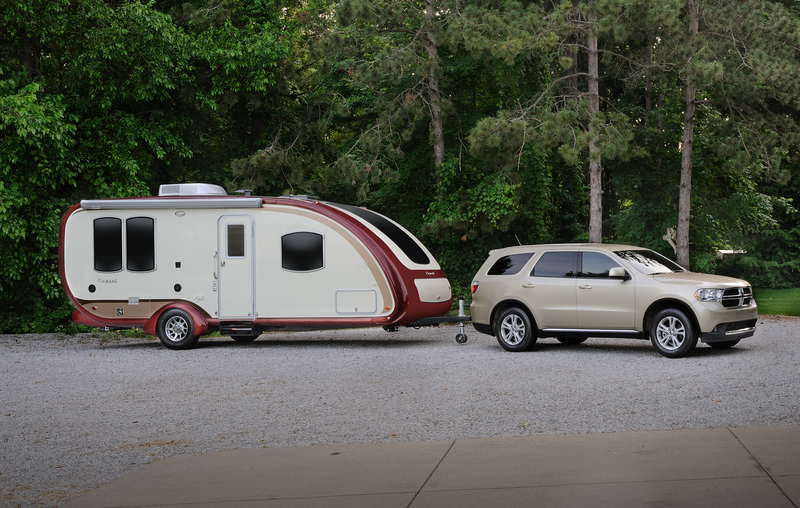 So before you go and purchase that dream camper or cargo trailer lets review some key points that will allow you to choose the right towing mirrors for your tow vehicle. If you tow your trailer often, you may want to consider purchasing mirrors that are permanently installed onto your tow vehicle. These mirrors wire into your vehicle and cannot be removed once you install them. 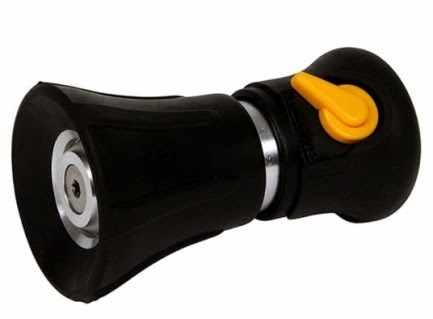 However, they often offer greater stability and additional features, such as turn signal lights, for better usability. Temporary mirrors are often the best choice because you can remove them when you aren't towing and maintain the slim vehicle width. Certain towing mirrors are designed for specific vehicles or a series of vehicles. Before you buy your mirrors, make sure you know the exact make, model and year of your tow vehicle. This will ensure you choose the right mirrors that will fit over your standard mirrors. Even if you will be replacing your current mirrors with permanent towing mirrors, you need to make sure you select the model that is designed for your vehicle. Some mirrors have special features that can be useful in certain situations. For instance, if you want to make your turn signals more visible, choose a set that wires into your vehicle and coincides with your signals. Some mirrors are also heated, allowing you to travel through colder areas. Pay close attention to the way mirrors attach to your vehicle's standard mirrors. Some of them slide over your mirror casing. Others attach via a suction cup. Still others use specialized clips. Talk to your RV specialists to determine which type of attachment will work best for your vehicle and the conditions in which you drive. 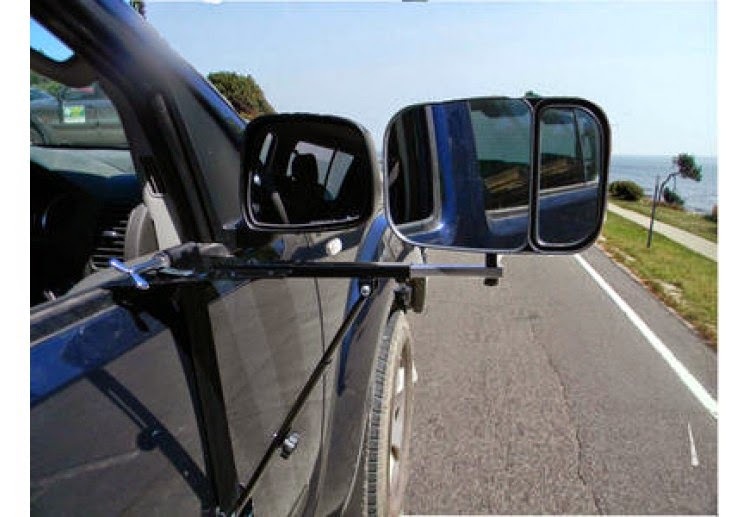 Choosing the right towing mirrors is essential to the success of your next camping trip. While many people choose to skip these important additions, it is important to use them at all times while towing to decrease blind spots and create safer driving conditions. Remember, these mirrors are often the law. If you are in the market for a new set of towing mirrors to make your driving experience safer, contact us. We carry a vast selection of mirrors to fit any need. When your trailer or other towed vehicle is out of your sight, it can be susceptible to theft if left unprotected. This can happen anywhere, whether you are at a campsite or even at home. 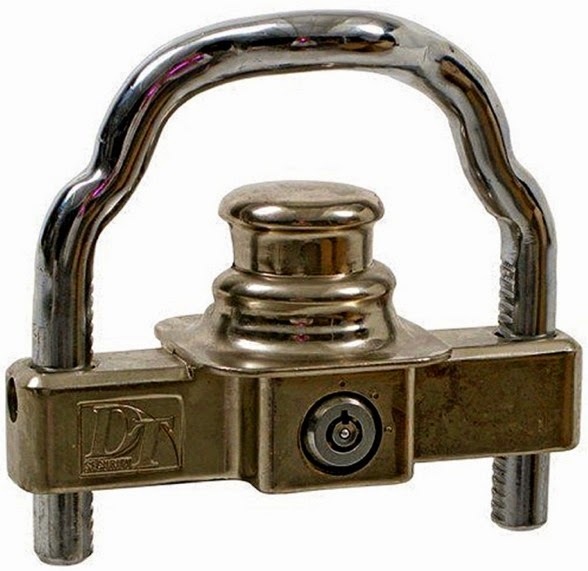 One way to keep your trailer protected is through the use of a hitch or coupler lock. 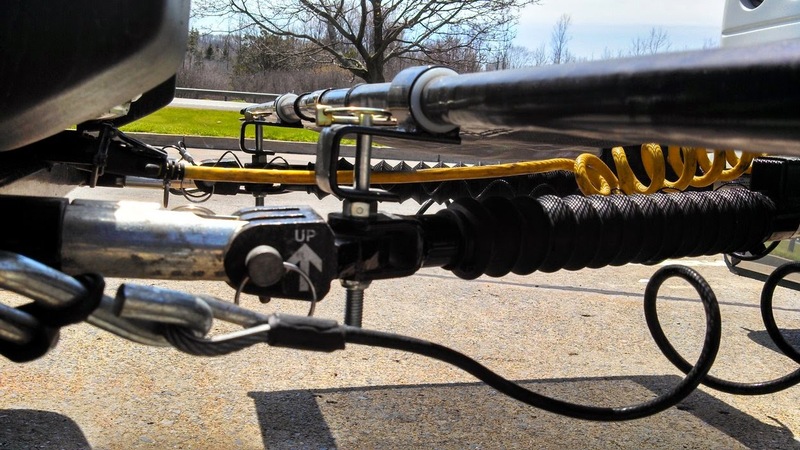 The Diversi-Tech Universal Trailer Coupler Lock is able to prevent potential thieves from being able to hook up your trailer to their vehicles. This protects a valuable investment as well as whatever items are stored inside. Using this lock also saves you the hassle of trying find one to fit your specific coupler. The Diversi-Tech Universal Trailer Coupler Lock is able to fit nearly any size tongue-type trailer couplers. It is built to stay strong and resilient against damage from rust or other outside elements. The lock has three positions, with lock and bolt lock selections to ensure maximum security. The lock is designed to provide a tight fit, no matter what kind of coupler you own. The four keys that come with the set ensure that you won’t have to worry about misplacing a key. It also allows you to give others access to the lock, if you so choose. Trailer theft is something that can happen to anyone if the right steps aren’t taken. Using the Diversi-Tech Universal Trailer Coupler Lock lets you rest easy, knowing that your trailer is secure from thieves when its out of sight. This greatly reduces the risk of your trailer and anything stowed inside getting into the wrong hands. Locks are used to protect your house and your vehicles, don’t let your trailer be any different. It goes without saying that maintaining the right tire pressure is important for any vehicle. Though many of us hate to admit it, it is usually the last thing we check until it's too late. A tire pressure monitor will not only remind you to keep your tires at the proper pressure, it can help you keep tabs on tire health. Even though there maybe a tire pressure listed on the side of your tires, this may not be the correct pressure you need to run. It's important to visit the manufacturers website to determine the correct tire pressure based on the weight of your RV. It's a good idea to visit a weight station at any truck stop once you have loaded your RV with all of your gear. For trailer owners, you will want to make sure you get each axle on a different section of the scale. If the scale is wide enough make a second pass and keep one side of your RV off the scales to calculate weights on each wheel for even more accurate information. Once you install your tire pressure monitor, it will be important to keep an eye on tread depth and wear patterns. A tire that climbs in pressure while under way could be an indicator that there is a misalignment issue. Also load changes or changes in tow vehicle and hitch height can effect how tire wear occurs. Low tread indicators are usually present in between tread patterns, if the indicator is even with the tread, it's definitely time to swap out your tires. If you are unsure, always ask a professional. Tire age tends to be the determining factor when RV tires need to be replaced over tire wear. So it's very important to find the date stamp on each tire. Do not go by the RV's manufactured date to determine the age of your tires. 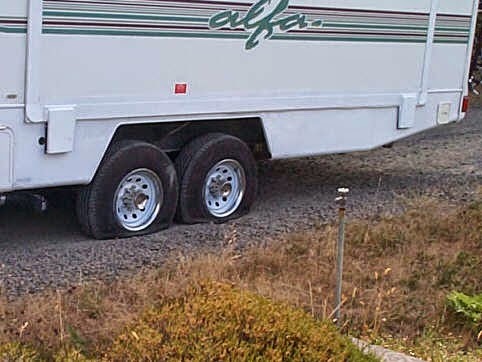 Many times the chassis your RV sits on has was pre manufactured and spent many months or even years waiting for the RV to be built If the sidewalls of your tires are cracked or checked, it is time to replace them. Cracking and wear to the sidewalls of your tires can indicate dry rot, in addition to low tire pressure, dry rot can cause an unexpected blowout while on the road. Doran 360RV 12 Sensor System: This tire pressure sensor system uses a easy to read LCD screen to display your tire pressure. It monitors each tire through the valve stems to directly monitor pressure constantly. Once the pressure is determined, the information is sent wirelessly to the receiver displaying which tires may be low. TST 6 Flow Through Sensor Tire Pressure Monitoring System: Ensure safety and prevent tire blowouts by installing TST 6 Flow Through Sensor Tire Pressure Monitoring System. This system accurately monitors tire pressure and temperature simultaneously in real time, while offering you the ability to custom program high and low PSI settings on up to 4 axles. When using a water hose on a camping trip to supply drinking water, it is important to make sure the water coming out of that hose is safe to consume. This comes into play not only when filling water bottles or thermoses, but also when consuming anything else that water comes into contact with. 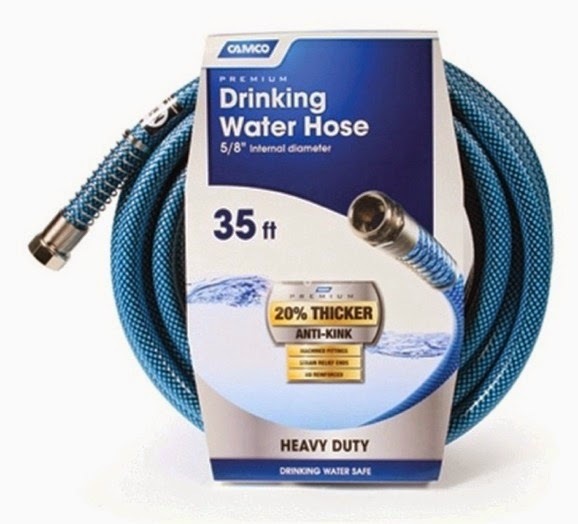 The Camco Premium Safe Drinking Water Hose is able to provide water that is safe consume or use in food preparation. When using a hose for these purposes, you need to be sure that the materials in the hose itself do not contain harmful amounts of certain elements or chemicals. The Camco Premium Safe Drinking Water Hose is made from materials that are CSA certified for low lead content. It has a wider diameter than most other hoses, so it can deliver more water at a greater rate. This hose also features strain relief on the ends to reduce kinking where the hose is attached. In other words, once the hose is hooked up, the connected end will not hang straight down from the attachment. Likewise when using it to fill a container, the other end is able to hold its position. The plastics in the hose are BPA free and the hoses are available in various lengths, ranging from 10 feet to 50 feet. Whether using the water for drinking or for cooking, the Camco Premium Safe Drinking Water Hose will ensure that the water is safe. This hose is adaptable for use not only with RVs but with any application that needs to supply safe drinking water. Other examples of possible uses include rinsing off food before cooking or eating it, and even using it as a way to fill pools or tubs. base plates and accessories, when we get to the question of braking systems the reply is "I don't need one, my RV is big enough to stop without it." While this may be true, it is not the general stopping with plenty of notice an RV'er should be concerned about. Emergency situations where a braking system buys you even a couple of more feet can make the difference between life and catastrophe. But that is not all a towed vehicle braking system delivers, most states require one on anything being towed over 2500 lbs (check your state's specific brake laws), you also are protected from a break away situation if your towed vehicle becomes detached as well as from potential costly litigation in the event something does go wrong and you're without one. Even with a setup as the one above (which is mine by the way) I have noticed a much shorter stopping distance in an emergency braking situation. Over the past couple of years portable braking systems have really led the charge in customer demand. Innovations in size, weight and features have been a part of the attraction these systems have garnered recently. But more so, RV'ers who change toads often are realizing that the cost and time incurred in the installation of a permanent braking system just does not make sense for them. But they are not perfect and their biggest flaw is trying to brake your vehicle with a dead brake pedal. I am sure you have experienced this, your vehicle stalls or you move it with the engine off and when you try to hit the brakes it is very difficult to push the pedal. Well that is what these systems are up against and so it is difficult to deliver as perfect a braking situation as it would be with a live pedal and what you find in permanent systems. The original box style portable brake was the BrakeBuddy and was a major hit with RV'ers and started the portable revolution. Predecessors from Roadmaster and their EvenBrake, BrakePro and 9700 units, Blue Ox Apollo and then Patriot brake systems, BrakeBuddy's Vantage braking systems, the RVI Brake and now the updated RVI Brake 2 and soon to be released SMI Delta Brake which is billed as the smallest portable to hit the market. There has been a lot of development lately in portables and rightly so, these systems had not really seen any design changes since the introduction of the BrakeBuddy in 1994. Blue Ox introduced the Patriot a few years ago which was a major update to their original system the Apollo. It was the first system to utilize an electric actuated brake cylinder arm. Along with the Patriot most others upgraded their units to feature wireless notification and adjustments from the motorhome and more accurate proportional braking. More recently the RVI Brake was launched into the market by the engineers who developed the original Brake Buddy. The most notable and attractive feature was its extremely small size. They have just updated this system to the RVI Brake 2 and its ability to monitor the towed vehicle's tire pressures. With the SMI Delta Force on the horizon I am sure we will see other manufacturers take their portable braking systems to even newer levels. With all of this hype over portable units does this mean the end of permanent braking systems? No way! The best braking system I have ever used was the SMI Air Force One Braking System. It truly delivered proportional braking by way of tapping into the motorhome's air brakes. A similar concept as you would find in tractor trailer braking. There are no electrical connections to wear down your toads battery and setup for towing was the simple connection of an air hose. If you know you will keep that toad for more than a few years and your motorhome has air brakes I highly recommend you take a look at SMI Air Force One system. Other very highly regarded permanent braking systems are the Unified Braking System by U.S. Gear, the SMI Stay-in-Play Duo Brake System and the M & G Engineering Brake System. I have experience with all three and found they all are very close in performance. The differences lie in the exact way they activate your vehicle's brakes as well as the installation process. The U.S. Gear and SMI units can be installed in any vehicle where as the M & G system is vehicle specific. There are a few others such as the very unique Mountain Master brake system (which may or may not still be available) along with air cylinder systems like the Blue Ox Brake Safe & Roadmaster Brake Master. If you would have asked me to invest money into a mechanical towed vehicle braking system just a few years ago I would have said "No Way!" To be honest I was thinking they went the way of the dinosaur, but we are seeing these systems gain traction in the last year or so. Right now the only companies we know producing this style of towed vehicle brake is NSA RV Products with their Ready Brake and Blue Ox with the AutoStop. This type of system utilizes a cable which is run from the receiver of the motorhome through the engine compartment and hooked onto the brake pedal. The momentum of the towed vehicle pushes the braking receiver forward pulling the cable and applying the brakes. NSA has various versions with the most popular being the Ready Brute which is an integrated tow bar and braking system all in one. It's a simple design that does not have many moving parts, no power is required and they are easy to maintain. The key to these systems is the initial setup and getting the cable length just right. In the last few years I have found myself utilizing an RVI Brake 2 for the very reason many others are turning to them, because we have changed toads a few times in that period. Although not nearly as convenient as the SMI or U.S. Gear braking systems once it's installed the RVI Brake 2 is very fast to setup and remove. So much so that I have not been able to set aside the hours of labor to install a permanent system. And with the SMI Delta Force due out anytime now, I may never find myself digging around the engine compartment installing a braking system. If you are in need of help finding that braking system that fits your RV'ing lifestyle, contact us. We carry most of the manufacturers mentioned above and can help you find the one that meets your needs and specifications. We would love to hear from you! Please leave a comment with information and details on what you think of your present braking system. And if I have missed any, please let me know. I have often wondered what manufacturers where thinking when they installed those tiny, noisy little fan in RV bathrooms. It tends to be on of the first upgrades RV'ers make along with adding covers on all of the roof vents. Since RV's have a pretty small footprint, just taking a short shower can fill most of the windows with condensation. 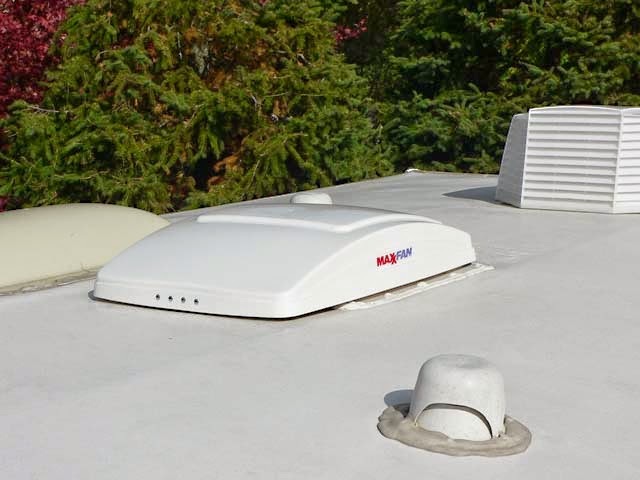 The need for a powered roof RV roof vent will also come in handy when cooking, after prolonged storage and to exhaust the hot summer air. Turning on a powered vent can make a major difference in your comfort level and even keep your RV a more pleasant place to hang out in. If you are replacing one of those noisy bathroom fans, the installation is made much easier with the availability of 12v power right at the vent location. If the vent does not have 12v power, you will need to run a wire from a near by location. Most RV manufacturers use Styrofoam in the ceiling panels which can make fishing a power wire a little more difficult. A heated stiff wire makes a nice pathway in Styrofoam and allows for wires to be easily fished to the vent. If there is no vent at all, don't despair, cutting a hole in the roof of your RV just takes some planning. You will want to select a location that does not have a roof support and relocate any wiring or possible AC ducting before making that first cut. Not all RV powered vent fans are equal. The two most well known brands are Maxxair and Fan-Tastic Vent. Both have excellent track records as well as products to fit most installation requirements. Maxxair makes powered vent fans with integrated rain protection. This allows the fan to be used in most any weather. Some of the Fan-Tastic powered vents include rain sensors so that the roof top lid closes when rain is present. Generally most users of Fan-Tastic vent products add an aftermarket vent cover to allow for use while it's raining. Another option if you have one of those noisy bathroom fans is to install a Heng's Vortex Fan Kit. This kit slips right into your current vent and only requires the removal of a few components. The installation of a powered vent is a great DIY project and can yield big benefits, but as always read through the instructions thoroughly before beginning. Make sure you turn off all power within your RV before removing the wiring or connecting the new unit. A very important aspect of the installation will be the resealing of the new powered roof vent if that is the style you go with. We recommend the use of Eternabond Sealing Tape over Lapp sealant because of it's longevity. Properly installed Eternabond provides a permanent seal that only requires visual inspection up to 20 years. Adding a RV powered vent fan may become necessary if you experience a build up of condensation either do to shower use or cold weather on a regular basis. 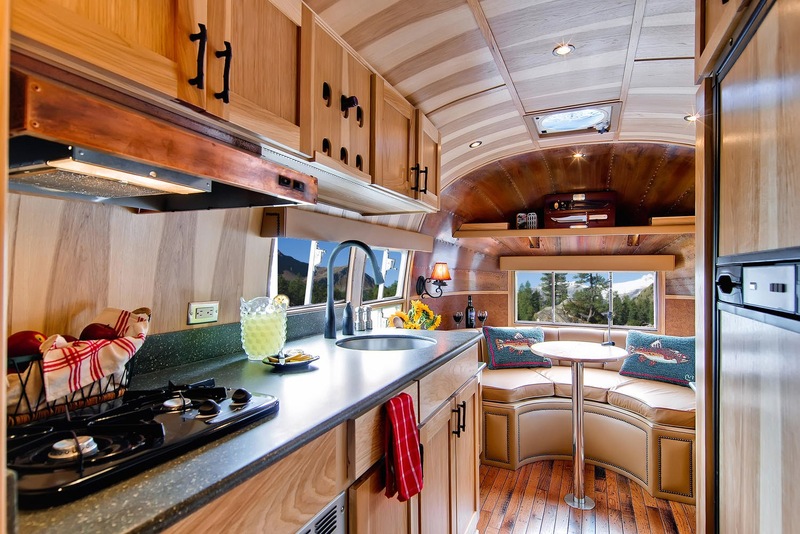 After you have determined that a replacement is the only way to resolve the issue, choosing the right option and carefully installing it will give you a functional RV you can enjoy spending time in, whether you are removing cooking odors, gas fumes or taking a shower. If your ready to add a powered vent fan, contact us. We carry a number of powered vent fans and can help you find the one that meets your needs and specifications. Now that spring is here and the weather is getting warmer, there is more incentive to spend time outdoors, especially to entertain. In that event, it can sometimes be a hassle trying to keep track of all your supplies, especially if you are away from home. The Picnic Time Buccaneer Tailgate Cooler makes entertaining outside easier. It keeps everything you need to prepare food and store beverages in one organized place. 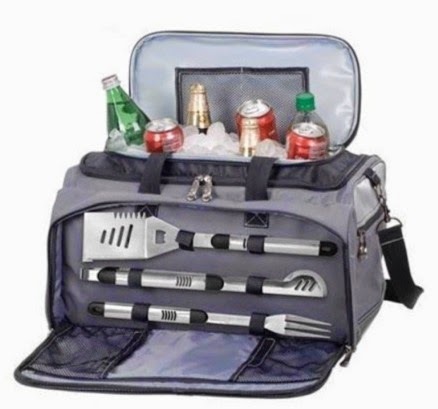 It is ideal for tailgate parties, picnics, camping trips and barbeques. The Picnic Time Buccaneer Tailgate Cooler greatly reduces the chance of forgetting something important at home. Almost everything you need for a cookout is included. It features a grill as well as a separate cooler that is large enough to hold 24 twelve ounce cans. The set comes with a barbeque fork, a pair of tongs and a spatula, all made from stainless steel with aluminum handles. The spatula can perform multiple functions as a bottle opener, meat or vegetable cutter, or grill scraper. Besides all the grilling tools, the Buccaneer has additional storage to accommodate extra supplies including a blanket or towel. Using the Buccaneer is simple. All the tools are stored in the front zippered pocket, while the grill is stored in the tote section underneath the cooler. The cooler is completely removable to allow access to the grill. The carrying strap has a shoulder pad to make it easier to transport. The tote and tools can be cleaned without the need of any special type of cleaners. The grill can be stored in a separate bag to keep any dirt or grease away from the other components. The Picnic Time Buccaneer Tailgate Cooler will provide you with added convenience during your next tailgate party or picnic.